Creating clear FAQs for your website are a key element to a successful customer experience. When users have a question about your product or service, they usually search your FAQ pages. This means it’s important to not only anticipate the questions they will look for, but to ensure that the information is up-to-date and presented in an easily understood manner. Increase your CSAT while decreasing your ticket volume. Over cluttered FAQs can make it difficult for users to find the information they are looking for. What are the questions your customers are actually asking? Set up a regular, recurring meeting with your customer support team or support team managers. This allows you to find out the most common questions from customers. Is there a question missing from your FAQ? Are the answers easy to understand or are they emailing customer support for a better answer? 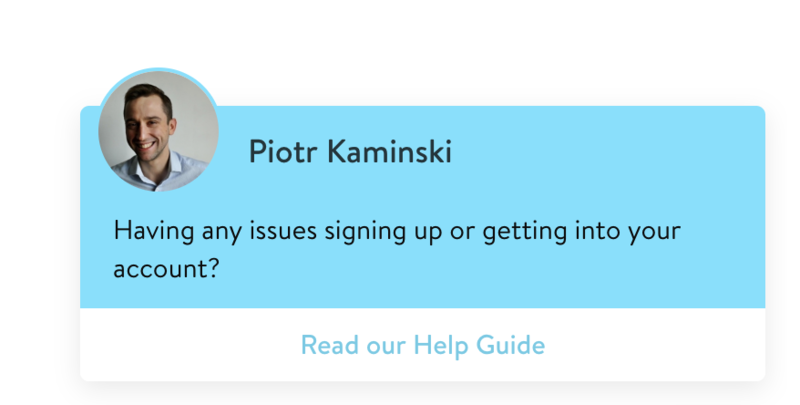 FAQs exists not only to make information easy for your users/customers to find, but also to free up your support team so that they can engage the customers who need help above and beyond what an FAQ can provide. Products, websites, the way things are done are constantly changing. Keeping an up-to-date FAQ is important. Whether you’re an online game, mobile app, online store, or company website, you should update the FAQ immediately as a new feature or product is released. d.
Set up a meeting with the project manager or developer to find out exactly what is changing with each update. Ask them “Do these updates affect any of the information in the FAQ?” It may be as simple as the design of a page is changing. In that case, you’ll want to update the image on the FAQ to assure users they’re in the right place. If you understand the update you can anticipate user questions and what the sticky points are going to be, before the customer support team gets inundated with emails. "My team and I held regular meetings with not only product managers, but the support staff as well. They're on the front lines and know exactly what questions customers are asking" says Leah MacDermid, former technical writer for Disney Interactive. Knowing which particular FAQs need to be updated can be tricky, especially if your website has 100s of them. Whether you’re new to the company or have been there for a while it’s important that you are familiar with your FAQs. You don’t have to have them memorized, but have a general sense of what exists. Then when updates come out, you’ll have a better sense of what keywords to look for to see if those FAQs exist and need to be updated. Also, having FAQs sorted into sections and subsections will make not only your search, but your user’s search that much faster. Here are a few key points you’ll want to consider when creating your FAQs. Step-by-step guides provide actions that a user must take – how to log in or how to edit their account information. Bullet points are a great way to break up information into digestible pieces. In anything a user reads white space – the space without any images or copy – is just as important as the copy itself. Too many long paragraphs will make users not want to read the information. However, if that same information is broken down into bullet points or small paragraphs it’s more likely they will read the whole thing. One of ShareDesk’s FAQs uses multiple sets of bullet points to help users clearly digest the information. Images are incredibly important. Proper images help assure users that they are taking the correct action. Step-by-step guides should include images, where appropriate, and should be updated when the webpage design is updated. Annotated screenshots or GIFs of your screen are really useful to visually show the steps a user need to take. Even on pages that don’t have step-by-step actions, sometimes an image is a fun way to make the page visually appealing, instead of just an all copy page. For kids themed sites, consider adding a character with a pose or action relevant to the FAQ content. Most of the time, each FAQ page should have one question and one answer. Going back to what we mentioned earlier, too much copy on a page makes it difficult for users to find the information they are looking for. The exception to this rule would be if you only have a handful of FAQ questions and they can all be answered with one sentence. Teeturtle.com’s FAQ page is a good example of this. All their FAQ questions are on one page and have single sentence answers. Teeturtle also provides quick links to navigate to questions on the left-hand side. If you need to provide additional information, for example, password reset instructions, don’t put them all on the same page as the FAQ question you’re currently writing. Instead, link out to that specific FAQ. Plus, having multiple pages that link to one another can help with your SEO strategy. First instincts may be to create big FAQs that answer absolutely everything. However, this can be overwhelming and make it harder for users to find what they’re looking for. Often if users aren’t asking how to do something, you can leave it out of the FAQ. How do you know if an FAQ is useful? Track clicks or add a “Was this FAQ useful” button. If you’re using a third-party customer support tool such as Salesforce or Zendesk, chances are this feature is already built in. Wordpress and Drupal also have plugins and modules you can use to allow users to rate articles. "Customer feedback is invaluable. We gave visitors the option to leave a (private, of course) comment on our FAQs. Comments were reviewed regularly, and alerted us to factual errors, missing information, and additional FAQs we needed to create" says Leah MacDermid. If no one is going to that page, chances are you can unpublish it. If you’re getting a lot of feedback that the FAQ isn’t useful, it’s time to update. To get real-time feedback on your FAQ, you can include a chat bot like Drift directly on the page. People can ask follow up questions and give more information about what they need to know. With the chat bot, you can also anticipate people's needs and direct them to the right FAQ page. FAQs are key to build customer trust. They need to be maintained, concise, and provide the information a customer is looking for. Successful FAQs free up your customer support team to build relationships with customers. In the long run, FAQs can save you money (less customer support needed) and earn you more (increasing the lifetime value of customers). 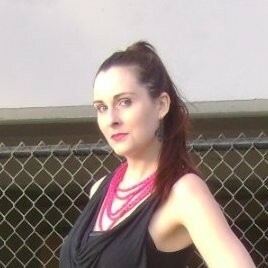 Stephanie Appleby is a freelance writer specializing in customer service, marketing, and small business management. Before that, she was a Marketing and User Experience writer at Disney Interactive Worlds and Customer Experience Manager at ShareDesk.